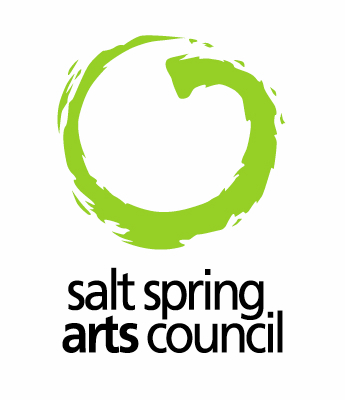 Help us celebrate a milestone in the Salt Spring Island arts scene with the 10th Annual Easter Art Tour! To celebrate our big anniversary, we are exhibiting a group show of over 40 artists in painting, sculpture and photography at historic Mahon Hall in Ganges. Founded in 2007 with a monumental exhibit of the allegorical paintings of Diana Dean, the anchor exhibits have ranged from single artist retrospectives, to dynamic pairings, trios and quintets, right up to large inclusive group shows. Over the years, the work of over 150 artists has been seen on the walls of the Hall. The range of discipline and medium has been equally inclusive, representing the broad spectrum of Island artists. We have had paintings, drawings, printmaking and assemblage. There has been sculpture made of clay, stone, wood, fibre and metal. Photography has been well represented with scenes of nature, people and abstraction. A few artists have shown installation works, using wood, paint and metal - one piece even had a human participant. The Exhibit and Tour has evolved, and this year will see the introduction of an expanded program of events for kids and adults alike, all designed to engage art lovers and enhance participation. Accompanying the nine day run of the show, there will be artist talks, film screenings, workshops and dance performance. Easter has become the launch of the art season on Salt Spring, and everyone gets in on the act. There have been as many as five openings coinciding with the opening reception held on Good Friday, so put on your walking shoes. Self guided Tour maps and info about the participating studios, galleries and special exhibits are available at Mahon Hall. Web and mobile users can visit the website for images as well as info about the exhibition, artists and events.